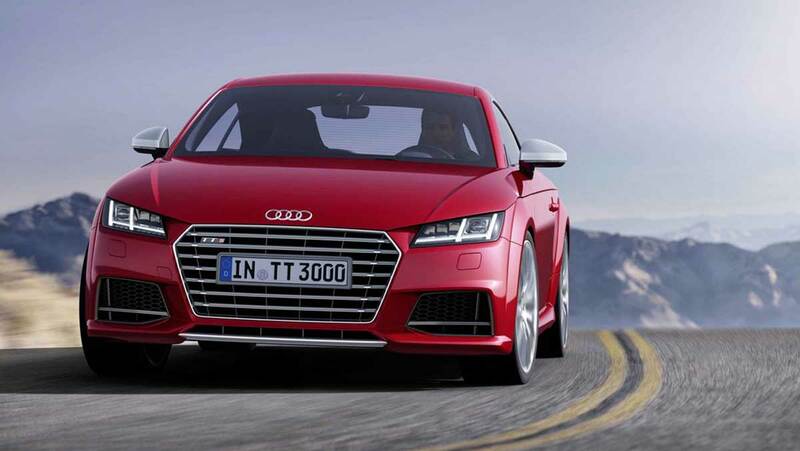 The New Audi TT Is Officially Available Now! Priced from £29,770, get ready to welcome the new Audi TT, that is on sale now. It will be in late November or early December that the first customers will finally get to lay their hands on the new and cheapest model from Audi. The new Audi is turbocharged 2.0-litre ultra-diesel engine and emits 110g/km of CO2, thus making it very reasonable for road tax. The car comes with a 6-speed manual gearbox and an output of 182bhp. Although efficiency is one of the most talked about aspect, the all-new TT is also loads of fun and is also highly driver focused. Moreover, the new model weighs 1230kg, less than the outgoing model, and this is a major feat. The overall look of the TT arrives with a starched look and is packed with more angles. Audi’s design department has been careful about keeping the rear end similar to the previous two generations. The grille carries a hexagonal shape and the fuel cap retains the silver look, but the head- and taillight signatures are more modern. The ride quality is a lot more superior, what with the lower weight and improved proportions. The elongated wheelbase adds to more comfort and high-speed stability. Next Post What’s the best BMW you can buy for less than £10,000? You’d be surprised!